A searchable index of publicly available materials regarding the Steven Salaita hiring controversy is now available from the University of Illinois Archives. The Steven Salaita Reference File and Index is comprised of preservation copies of documents, news stories, blog posts, social media traffic, and other materials, providing the most comprehensive source for material concerning the decision by the University of Illinois at Urbana-Champaign in 2014 to rescind a job offer to Steven Salaita and the subsequent controversy and lawsuit regarding this decision. This project was designed and launched in August 2014, with the goal of capturing in real time not only web-available news reports and institutional releases, but especially social media content from Facebook, Twitter, YouTube and the like. Controversies create not only internal strife but a flood of reports, counter-reports, news stories, editorials, and blog posts not to mention social media postings. Early on, the Archives realized that if we didn’t capture everything we could about the Salaita affair in real time, we would lose the ability to create an enduring, authoritative record of the controversy. As of September 6, the resultant Salaita “clipping file” contains direct links to approximately 2,249 distinct documents from 653 sources in 14 separate categories, including news stories, responses to Freedom of Information Act requests, social media postings, videos, etc. The materials are intended for use in private research, teaching, and study. For all other uses, including but not limited to publication, broadcast, and distribution, users must obtain written permission in advance from the original author, creator, or copyright owner. The Steven Salaita Reference File and Index can be found at http://archives.library.illinois.edu/social-media-archives/salaita-reference-index/. This new collection is also described in our holdings database. The University of Illinois Archives has officially re-opened to the public. Our new location, room 146 Main Library is open and ready for visitors. The new location is easy to find and features a large brightly lit reading room, all new furniture, new wireless networking, and outlets at every table. Over the next few months, we will be working on all the procedural, operational, and technology adjustments that come with any new space. So, come see for yourself, and if you cannot visit sunny Urbana (err, well we have actually moved across the city line even though the zip code is the same), look at the moved-in photos available at the following URL. It was days like October 8, 2012, when undergraduate researchers and campus scholars crowded our long-superseded reference room, that helped us define the kind of space we wanted to have created for University Archives’ users. Stay Tuned! Daily Updates on the progress of the move, including new photos, will be added starting May 21! 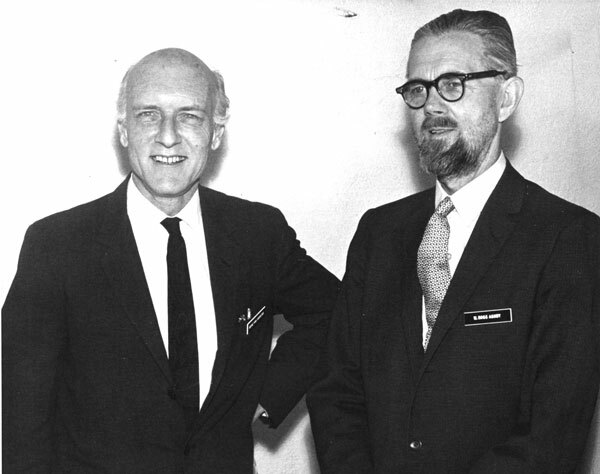 In 1963 the University of Illinois Archives opened its doors to the public. For 52 years the basement of the Main Library Building has been our home and it has served our needs well, but as the collections grew and as ever more students and scholars came to use the Archives, Room 19 became too cramped and unsuitable for our users. 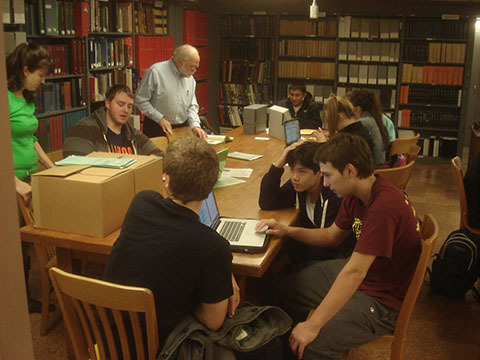 For the past three years, the archivists and the Library’s Assistant Dean for Facilities have been working to create a space more fitting to the Archives’great collections and users. 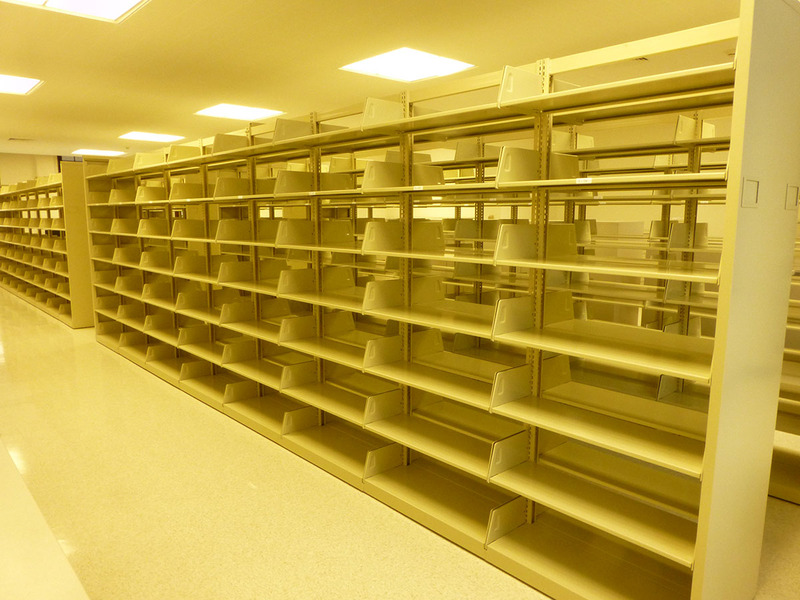 On May 21, 2015 the University of Illinois Archives will begin to relocate its core collections and public service operations from the basement to the former Applied Health Sciences Library (room 146 Main Library). 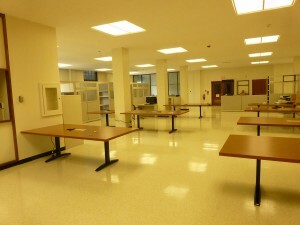 The new home of the University Archives has been recently remodeled and outfitted with new equipment, large tables, improved wireless connectivity and expanded oversize storage. In addition to new equipment the remodel includes designated archival instruction and exhibit space as well as expanded stations for staff working with born-digital and digitized archives. To ensure a speedy move our basement location (room 19 Main Library) will close its doors to the public between May 21 and May 29, 2015. Only the Main Library location will be unavailable to the public during this time. The Student Life and Culture Archives and the Sousa Archives and Center for American Music will continue their regular hours of operation. 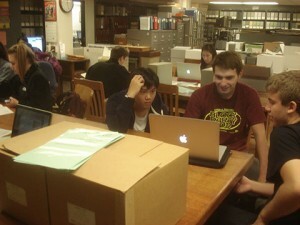 We will continue to check our email (illiarch@illinois.edu) and voice mail (217-333-0798) during the move. Looking forward to opening our doors June 01, 2015! Since December 2012, the University Archives has acquired over 50 new accessions of materials which have augmented the Archives’ holdings that document the College of Engineering’s rich institutional memory. These acquisitions have revealed new sources and insights into the establishment and development of Engineering’s curriculum from the University’s founding in 1867, as well as faculty research and the creation of new research programs and laboratories and their affect on scientific and technological innovations. 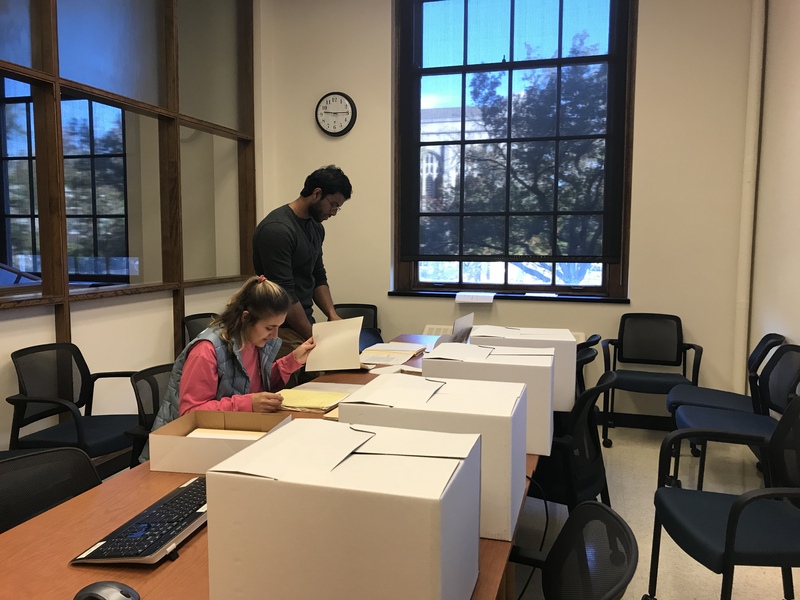 In addition to being arranged and described, Engineering administrative records and faculty papers have received advanced conservation and preservation treatment, and many records series have been digitized by the Library’s Digital Content Creation Unit. 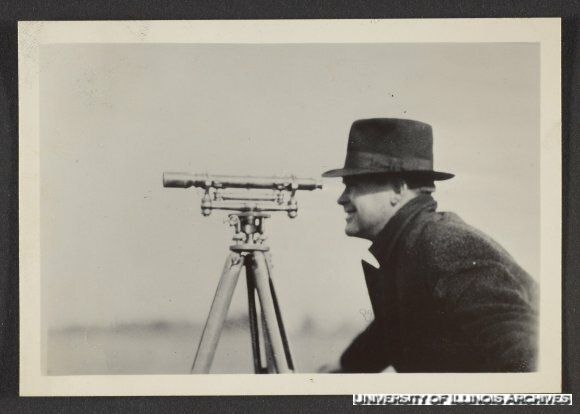 These newly-digitized materials facilitate greater access to the history of science and technology at the University of Illinois. Recently digitized administrative materials include Faculty Minutes, 1897-1902, 1918-2008 and Annual Reports, 1903-1959, 1970-1971, 1987-1988 .These records capture the work of committees, administrators, departments, and laboratories, including Engineering’s unique documentation of its own history through its Historical File, 1908-1996.